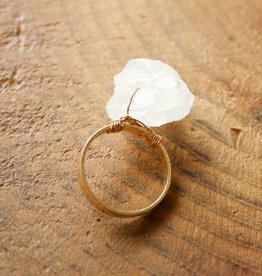 Add this genuine Crystal Quartz ring to your Boho-chic fashion accessory collection today and rock the look! Bohemian gurus and Indie style mavens approve. Due to the organic nature of this stone, shape and size do vary. 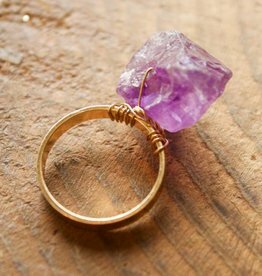 Add this genuine Amethyst Crystal ring to your Boho-chic fashion accessory collection today and rock the look! Bohemian gurus and Indie style mavens approve. Due to the organic nature of this stone, shape and size do vary.